It’s amazing how distinctive some bands’ music can be: Between The Beatles, Led Zeppelin, David Bowie, Queen, Pink Floyd, Prince, Guns N’ Roses and countless more, many great artists have managed to catch listeners’ attention time and again by sonically standing out from the crowd. Despite the theoretical inevitability that music eventually must reach a “bubble” of sorts, where all possible combinations of pleasant sounds have been realized and achieved, promising new acts with alluring sounds continue to fill the airwaves. One such band is pop/rock up-and-comer Bad Suns. Bad Suns’ sound felt shockingly fresh when they emerged on the scene in early 2014. Their debut album, Language & Perspective (released June 2014 via Vagrant) offered a refreshing rock/pop mix that blended the tones of music’s past with modern guitar licks and catchy pop structures. Songs like album opener “Matthew James” and “Salt” are emotionally deep, lyrically clever, and musically enriching. Though the young four-piece out of Los Angeles weren’t breaking new musical ground per se, Bad Suns made themselves known for injecting depth and meaning into their songs, seeking answers to big questions in infectiously catchy melodies. Needless to say, it’s good to have Bad Suns back again. Would you run after me? 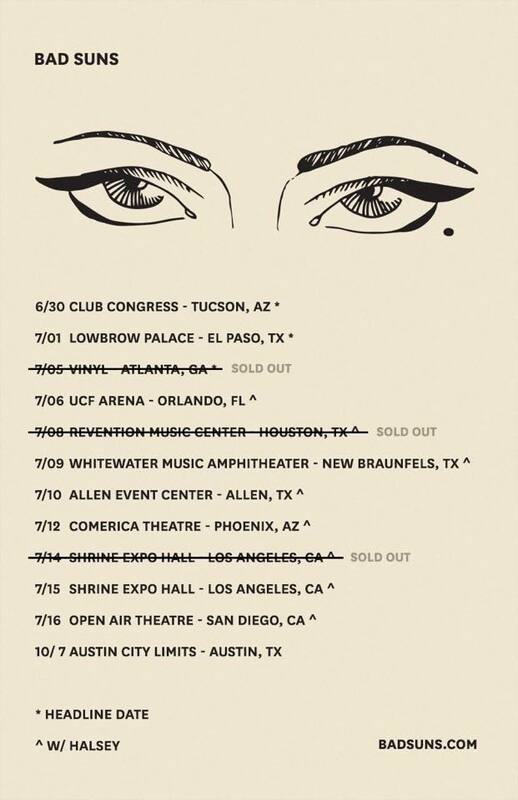 “Disappear Here” is the lead single (and opening song) off Bad Suns’ forthcoming sophomore album of the same name (out September 16, 2016). The band’s first new music in over two years does not disappoint, picking up right where they left off with a stadium-sized chorus tucked neatly into a song that screams BAD SUNS. From lead singer Christo Bowman’s booming tenor to Gavin Bennett’s resilient bass, “Disappear Here” marks a resounding return. 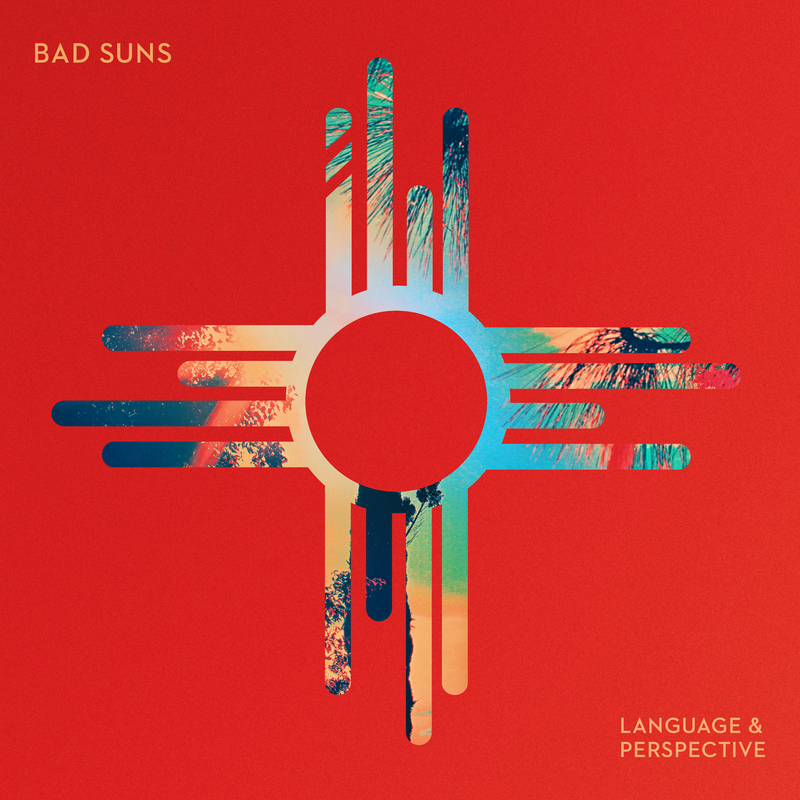 Bad Suns’ arrangements tend to be a warm and equal blend of instruments that work together as a whole, rather than individually. “Disappear Here” is exactly such an arrangement: A strong bass line coupled with a frisky drum beat drives the rhythm forward as Bad Suns go about reintroducing themselves. Lead guitar and a light keyboard support Bowman’s voice as he carries the melody through short, sinusoidal phrasings. Bowman goes for the jugular when he jumps into a melting falsetto in the chorus, but the stunning impact of such a move would be lost without the instrumental backup around him. “Disappear Here” is more than the sum of its parts, and it may take multiple listen to fully comprehend its depth. “Disappear Here” opens into a moment of doubt and self-doubt; the narrator presses into a relationship’s stability while also questioning his own path and aspirations. It’s a confusing smorgasbord of emotions, and the band are just at the beginning of the song. The words “disappear here” feel almost oxymoronic – making their meaning all the more enticing – but their urgency is vivid: A loved one is asking if that love is turning to rust. This is a crucial, decisive turning point: “We wanted to capture the emotion of a crossroads in life being suddenly interrupted by the ground collapsing beneath your feet,” explains frontman Christo Bowman. The band succeed in capturing that complex set of emotions, fusing music and lyrics together to emphasize the weight of an impenetrable situation. Bad Suns are recharged on “Disappear Here,” seizing a moment of truth that doesn’t seem to have any straight answer – at least, not one that Bad Suns are willing to admit to. Relationships are complicated – they have their ups and downs, theirs ins and outs. Who knows where they will lead? Quintessentially Bad Suns in both sonic character and depth, “Disappear Here” is catchy and immediate, drawing us into a world of love and uncertainty as Bad Suns make their long-awaited return.